The CSS-Editor in 1.0 croaked on the -fx-base definition because -fx-base is not a property on any node. In 1.1 the editor is smart enough to understand that -fx-base, -fx-control-inner-background, … and many more a color-property-variables and will not mark them as invalid. The CSS-Editor is smart and if it detects that a scenegraph element hasn’t got the property you are using it issues a warning which generally is good because e.g. you might have a spelling error e.g. you wrote -fx-background-colour (british english) instead of -fx-background-color (american english). Yet there are situations where you want to suppress a warning because you know better than the CSS-Editor. In 1.0 the CSS-Editor has been too greedy validating all CSS-Files in your project e.g. if you had a CSS-File in your project to style a HTML-page it got validated and naturally showed a vast number of problems. In 1.1 we only validate files part of the build path of your project and leave out all others. 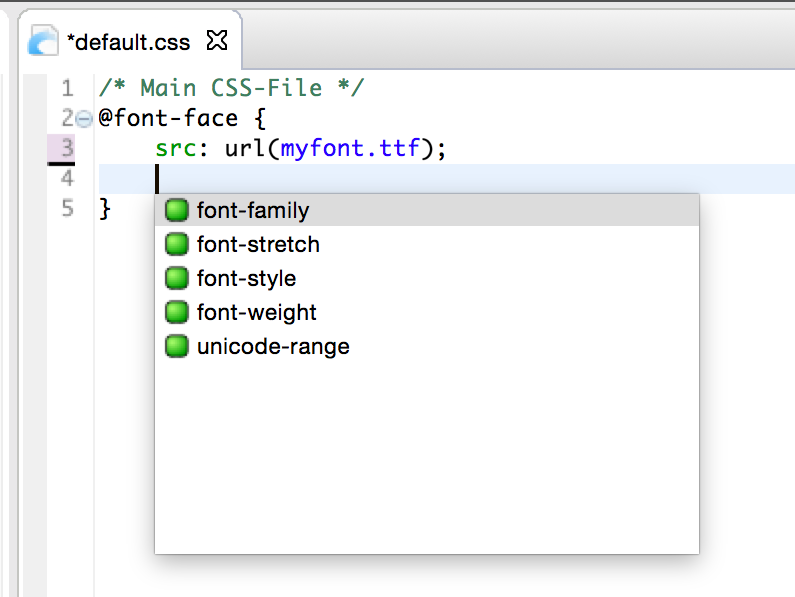 So much improvements, but CSS-editor still isn’t working on Mars packages of Eclipse IDE.